First of all, you need to open “General setting” page of “Post Index” plugin by logging to your blog administration section. Then go to Settings -> Post Index. Now you are at the “General setting” page. 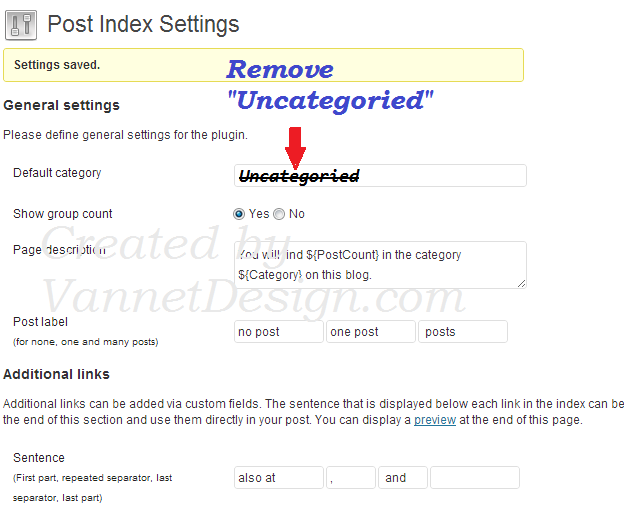 At the “Default category” area, the default is “Uncategorized”, so to index entire of the blog not only “Uncategorized” category, you need to clear out that section. I means is deleting the word “Uncategorized”. That’s it. Before going away, you need to save it. What to do if my WordPress blog is slow?